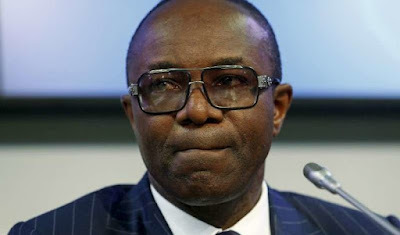 Minister of State for Petroleum, Dr Emmanuel Ibe Kachikwu, has denied news reports that the Federal Government was planning to jack up the pump price of petrol, at present fixed at N145 per litre. Idang Alibi, the Director of Press in the ministry in a statement on Thursday night, clarified the minister’s submission made to the joint committee of the National Assembly on Petroleum Downstream. “The Ministry of Petroleum Resources would like to categorically state that the Honourable Minister never mentioned nor insinuated the need or plans by the Federal Government to increase the current pump price of Premium Motor Spirit (PMS)”, Alibi said. Alibi restated what Kachikwu told the hearing, shown live on NTA that the Presidency has set up a special committee to identify the immediate and remote causes of the fuel scarcity with a view to finding both immediate and long lasting solutions to the challenge. “The Committee has been in rounds of deliberations in the past few days and these discussions are still ongoing. The final decisions and recommendations from the Committee would be passed on to the President and Commander-In-Chief for approval”, said Alibi. Alibi urged the public and indeed stakeholders in the Oil and Gas sector to disregard any such report of a price increase.